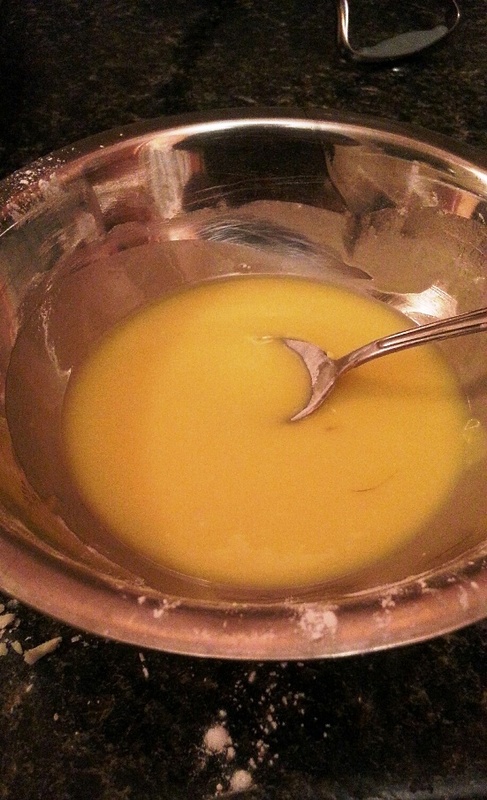 If you follow us, then you may recall that I was recently inspired to make my own Whipped Hair and Skin butter after watching HeyFranHey and Shameless Maya in action on YouTube. So after watching Fran make Raw & Organic Deodorant a while back, OBVIOUSLY this meant that I had to try it especially since it’s so easy too! Seeing as my love for DIY was inherited from my mother, I know all too well about using baking soda and lemon as a deodorant. You can never beat the simple methods, right? Admittedly, these ingredients are not cheap, especially considering that antiperspirant that I usually purchase costs $3. But seeing as it contains the evil aluminum (known to increase the risk of breast cancer), it is well worth it when you want to remain organic and know what exactly you use in and on your body and control how much or little you use. 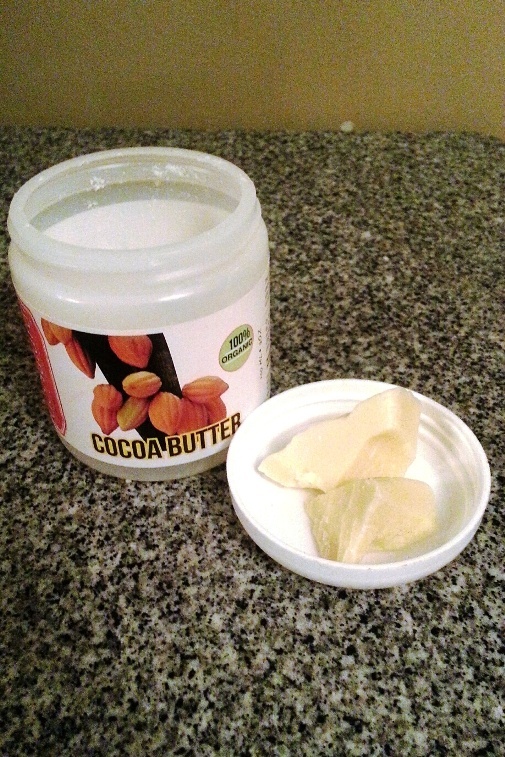 4 tBsps Raw & organic cocoa butter, grated (to keeps the skin moisturized) – also ordered at the local hair store and it came in small chunks. 2 1/2 tBsps Baking Soda (to absorb odor). *Note* Fran mentioned that many do not like using that much because it makes their armpits darker. I however use a baking soda paste (with water) to lighten my armpits and have had no issues. 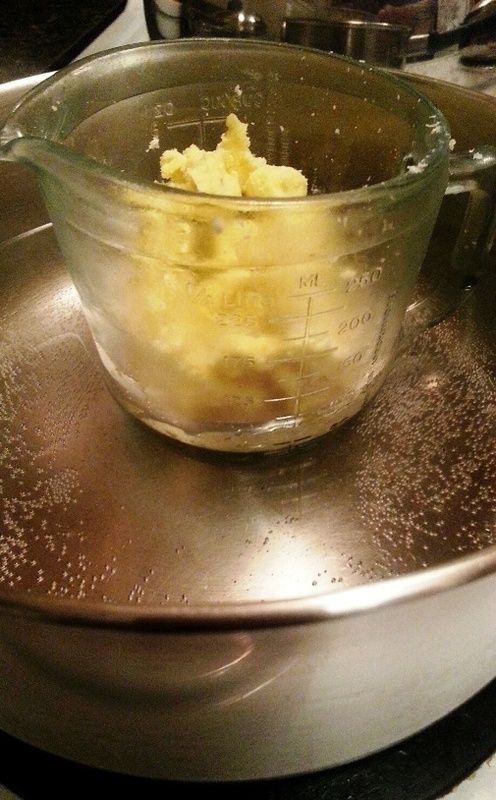 1/2 cup Arrowroot flour (to absorb moisture) – I purchased this at Bulk Barn. Empty deodorant containers that can be purchased online or you can do what I did and use recycled containers that I washed after they were finished. 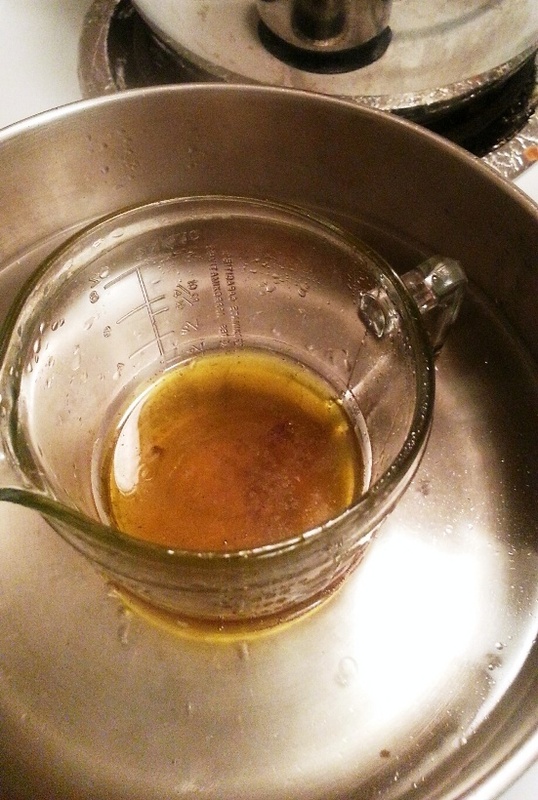 Melt the butters in a glass placed in boiled water for a few minutes. Keep an eye on it so they don’t burn! 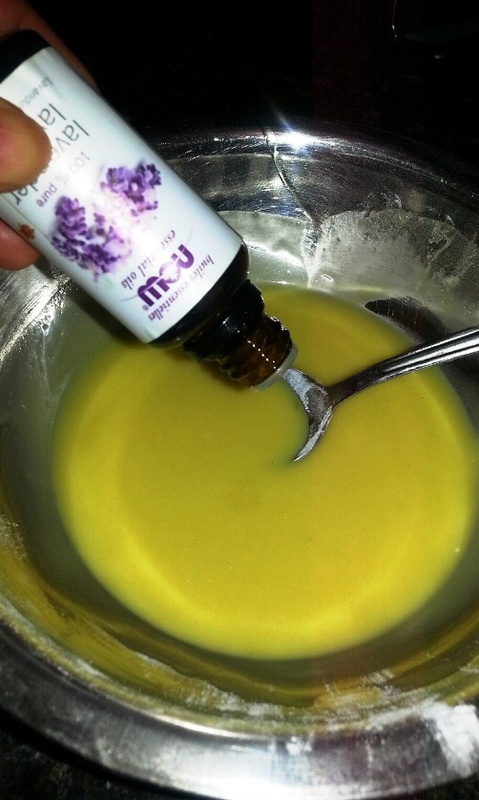 Pour the melted butter mixture onto the powder mixture, add the lavender and stir, mixing well. It will be the consistency of a thick liquid like milkshake. 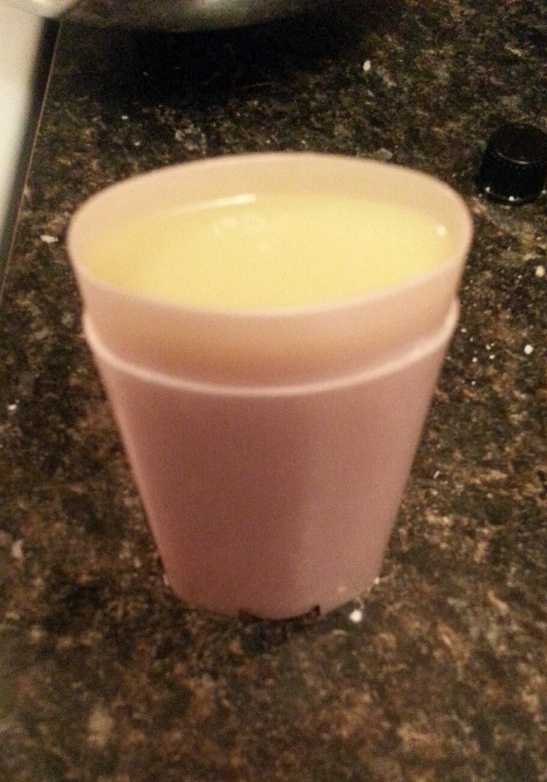 Pour the completed mixture into the deodorant containers. Let the mixture set for a couple hours or speed it up by putting it in the fridge. And off you go with your armpits smelling fresh! It doesn’t go on clear at first per se, but the appearance of any butters melt with your body heat and the skin is kept soft and dry. I had taken it along work with me on the first day (because I was paranoid) but I didn’t have to reapply from the morning. *Note that although it worked well, I had an allergic reaction to the arrowroot after using it for 2-3 days. (It was the only ingredient that I had never used before). I will do some research to find an alternative, but it may be best to try the deodorant on a small area of skin to see if there are any reactions. If you have used arrowroot successfully in the past, then you’re set! 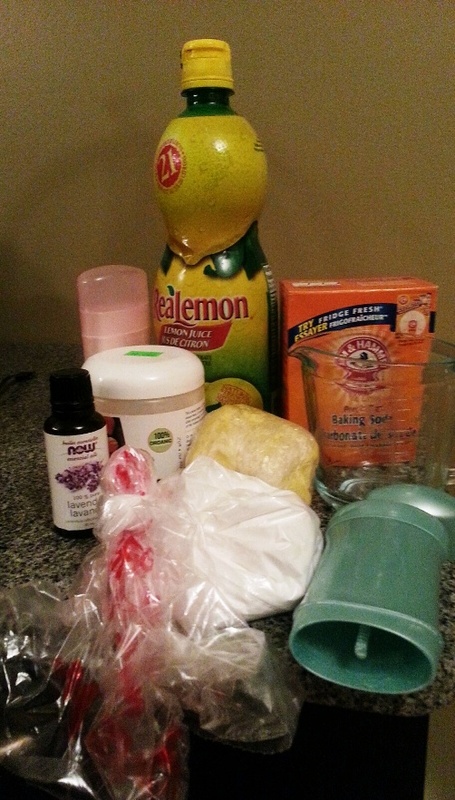 If you’ve made your own deodorant, please share your recipes below! I’ve been on the lookout for a good natural deodorant. I tried Lovefresh Natural Cream deodorant because I love their other products – but did not love the deodorant. It could be because I selected the Orange Patchouli scent (and discovered that I really dislike patchouli), and I found it did not last through the day. Anyway, I noticed that they listed Kaolin clay as an ingredient – could that be a substitute for the arrowroot in your recipe? 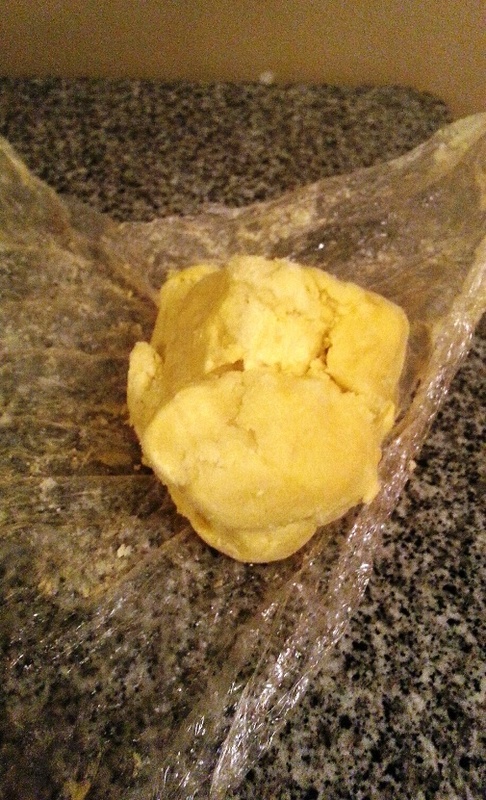 I think cornstarch might also do the trick, but it might need to be added to cool ingredients since it tends to clump. Thank you! I will check that out. I did like the deodorant and how effective it was, so I will definitely try again.